This is the type species (lectotype) of the genus Delesseria. 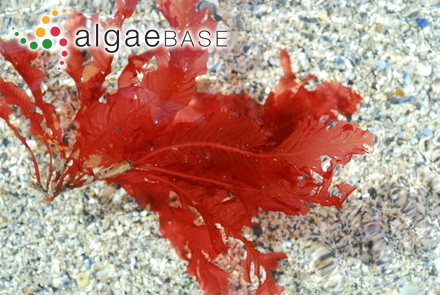 English: Sea Beech (Bunker et al. 2010). Swedish: Ribbeblad (Tolstoy & Österlund 2003). Membranous, bright crimson fronds, with cartilaginous, cylindrical, branched stipe, from thickened discoid holdfast, to 300 mm long. Branches bearing spirally arranged, leaflike, ovate-lanceolate blades, each with short stipe and pinnately branched midrib, membranous portion monostromatic, margin undulate (on mature blades), entire. Reproductive structures in small oval, stalked blades, borne on midribs in winter. On rocks, in deep shady lower intertidal pools and in the subtidal, generally distributed, common. Arctic: Barents Sea (Malavenda 2018), Russia (Arctic) (Vinogradova 2011). Europe: Atlantic France (Burel, Le Duff & Ar Gall 2019), Baltic Sea (Nielsen et al. 1995, Kontula & Fürhapter 2012, Goecke et al. 2013), Britain (Newton 1931, Maggs & Hommersand 1993, Hardy & Guiry 2003, Kain (Jones) 2006, Marconi et al. 2011, Wynne 2014, Brodie et al. 2016, Bunker et al. 2017), Channel Islands (Lyle 1920, Dixon 1961), Denmark (Larsen & Sand-Jensen 2006), Faroe Islands (Irvine 1982, Nielsen & Gunnarsson 2001), France (Coppejans & Kling 1995, Dizerbo & Herpe 2007, Anon. 2017), France (Breizh) (Feldmann 1954, Loiseaux-de Goër & Noailles 2008), Germany (Ludwig & Schnittler 1996), Greece (Tsekos & Haritonidis 1977), Helgoland (Bartsch & Kuhlenkamp 2000), Ireland (Adams 1907, Adams 1908, Cotton 1912, Cotton 1913, Cullinane 1971, Guiry 1978, De Valéra et al. 1979, Whelan & Cullinane 1985, Maggs & Hommersand 1993, Morton 1994, Guiry 2012, Bunker et al. 2017), Netherlands (Stegenga & Mol 1983, Stegenga et al. 1997), Norway (Jaasund 1965, Rueness 1997, Brattegard & Holte 2001), Portugal (Ardré 1970, Araújo et al., 2003, Bárbara et al. 2006, Araújo et al. 2009), Scandinavia (Athanasiadis 1996), Spain (Miranda 1931, Conde Poyales & Seoane Camba 1982, Gallardo & Pérez-Cirera 1982, Gallardo et al. 1985, Granja, Cremades & Barbara 1992, Bárbara, Cremades & Pérez-Cirera 1995, Bárbara & Cremades 1996, Cremades, Bárbara, Granja & Veiga 1997, Valenzuela Miranda 2002, Bárbara et al. 2005, Cires Rodriguez & Cuesta Moliner 2010), Spain (incl. Canary Is.) (Gallardo et al. 2016), Sweden (Kylin 1907, Kylin 1944, Tolstoy & Österlund 2003), Turkey (Europe) (Zeybek, Güner & Aysel 1993). Kain (Jones), J.M. (2006). 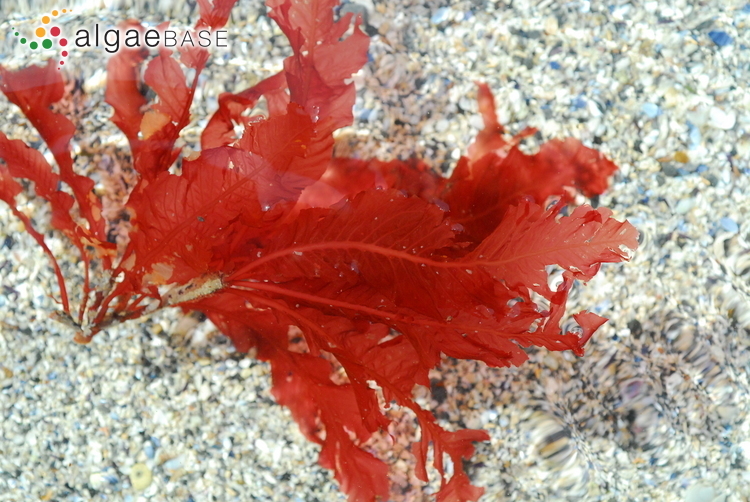 Photoperiodism in Delesseria sanguinea (Ceramiales, Rhodophyta) 2. Daylengths are shorter underwater. Phycologia 45: 624-631. Accesses: This record has been accessed by users 41272 times since it was created. Kain (Jones), J.M. & Bates, M.J. (1993). The reproductive phenology of Delesseria sanguinea and Odonthalia dentata off the Isle of Man. European Journal of Phycology 28: 173-182, 9 figs, 2 tables. Kain (Jones), J.M. (1996). Photoperiodism in Delesseria sanguinea (Ceramiales, Rhodophyta) 1. The phases and sexes differ. Phycologia 35: 446-455, 7 figs, 5 tables. Kain (Jones), J.M. (2003). 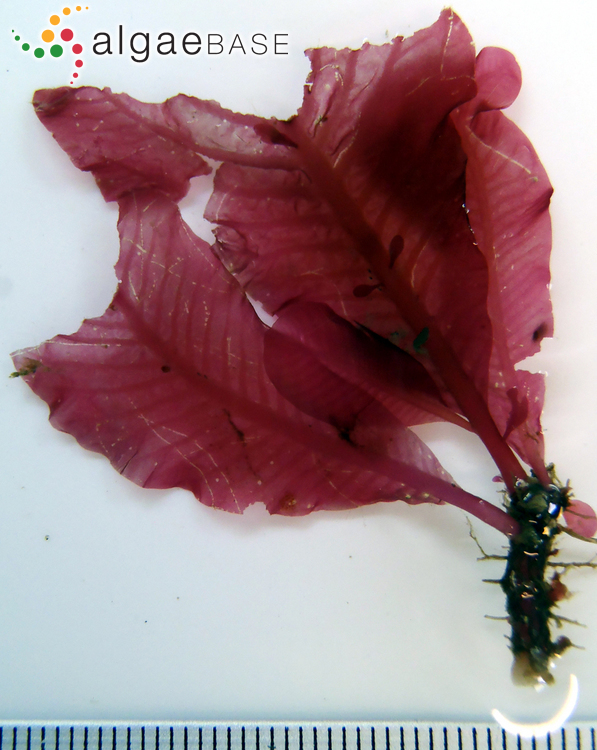 Control of blade growth in Delesseria sanguinea (Rhodophyta). Proceedings of the International Seaweed Symposium 17: 403-410. Kain, J.M. (1987). Photoperiod and temperature as triggers in the seasonality of Delesseria sanguinea. Helgoländer Meeresuntersuchungen 41: 355-370. Lundsteen, S. (1980). Unusual occurrences of reproductive structures in Delesseria sanguinea and Spermothamnion repens (Bangiophyceae, Ceramiales). Botanisk Tidsskrift 75: 155-157. Lundsten, S. (1980). Unusual occurrences of reproductive structure in Delesseria sanguinea and Spermothamnin repens (Bangiophyceae, Ceramiales). Botanisk Tidsskrift 75: 155-157. Lüning, K. & Schmitz, K. (1988). 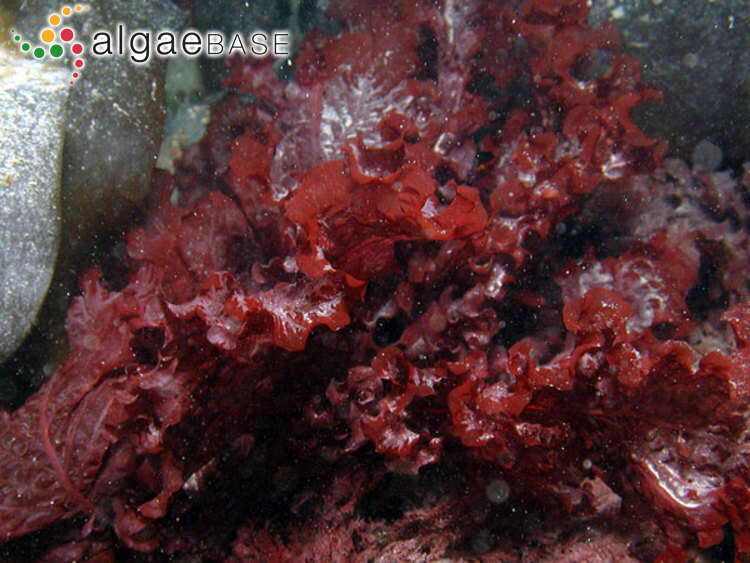 Dark growth of the red alga Delesseria sanguinea (Ceramiales): lack of chlorophyll, photosynthetic capability and phycobilisomes. Phycologia 27: 72-77. Lüning, K. (1984). Growth and lack of chlorophyll a in a dark-cultivated Delesseria sanguinea. British Phycological Journal 19: 196-197. Nabil, S. & Cosson, J. (1996). 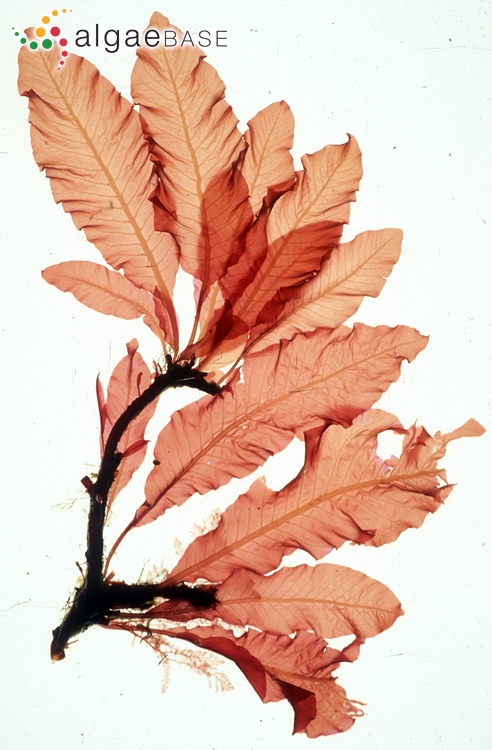 Seasonal variation in sterol composition of Delesseria sanguinea ((Ceramiales, Rhodophyta). 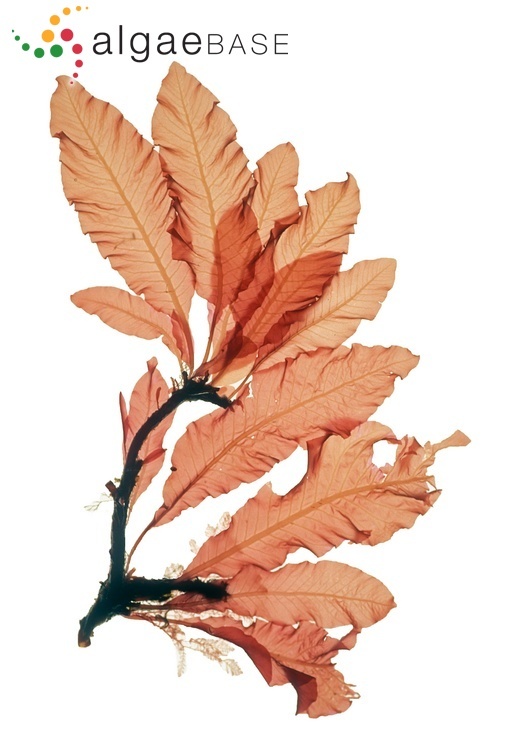 Proceedings of the International Seaweed Symposium 15: 511-514. Pang, S., Gomez, I. & Lüning, K. (2001). 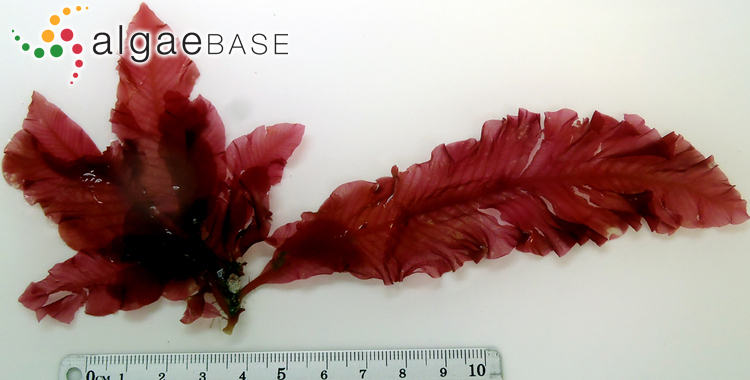 The red alga Delesseria sanguinea as a UVB-sensitive model organism: selective growth reduction by UVB in outdoor experiments and rapid recording of growth rate during and after UV pulses. European Journal of Phycology 36: 207-216. Potin, P., Patier, P., Floc'h, J.-Y., Yvin, J.C., Rochas, C. & Kloareg, B. (1992). Chemical characterization of cell-wall polysaccharides from tank-cultivated and wild plants of Delesseria sanguinea (Hudson) Lamouroux (Ceramiales, delesseriaceae) - culture patterns and potent anticoagulant activity. J Appl Phycol 4(2): 119-128. Rietema, H. (1993). 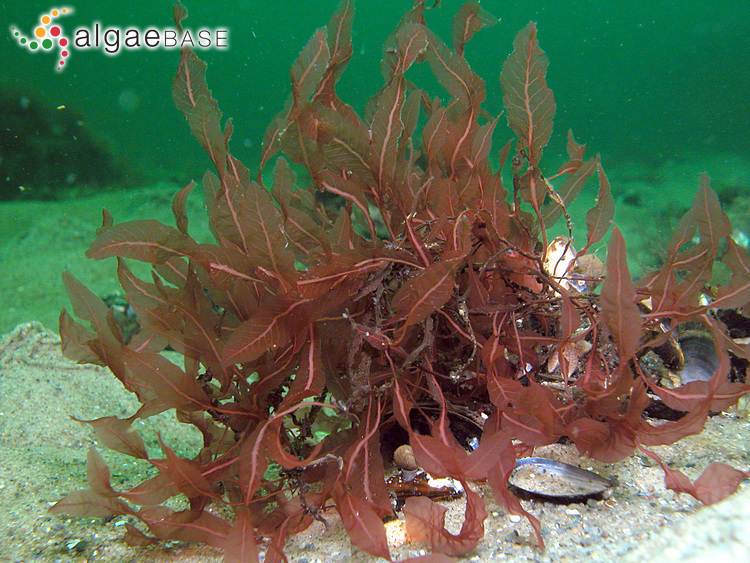 Ecotypic differences between Baltic and North Sea populations of Delesseria sanguinea and Membranoptera alata. Botanica Marina 36: 15-21, 7 figs. Shameel, M. (1975). Untersuchungen über Wirkung des hydrostatischen Druckes auf das Wachstum von Delesseria sanguinea (L.) Lamour. aus des Westlichen Ostsee. Hydrobiologia 47: 209-230. Shameel, M. (1977). Combined of hydrostatic pressure and temperature on the activity of alkaline phosphatases from Delesseria sanguinea (L.) Lamour.. Pakistan Journal of Botany 9: 17-23. Svedelius, N. (1911). Über den Generationswechsel bei Delesseria sanguinea. Svensk Botanisk Tidskrift 5: 260-324, 3 tables.